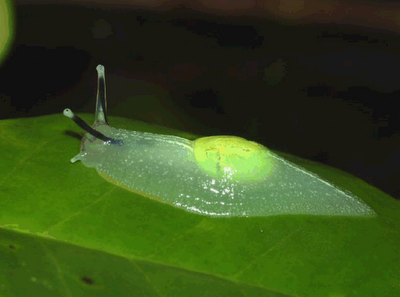 This is an arboreal semi-slug known as Gaeotis flavolineata. 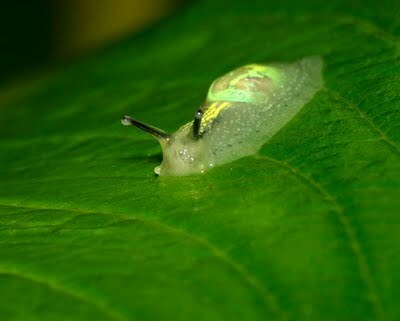 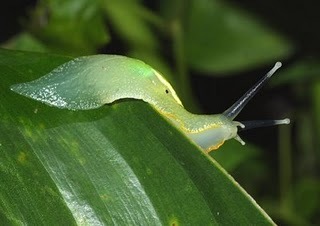 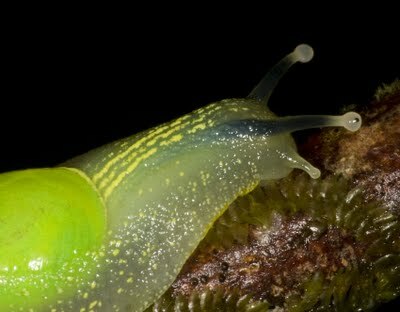 Semi-slugs are relatives of snails that seem to be “half way” between snails and slugs. 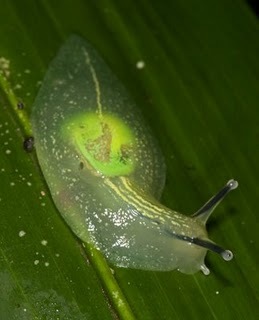 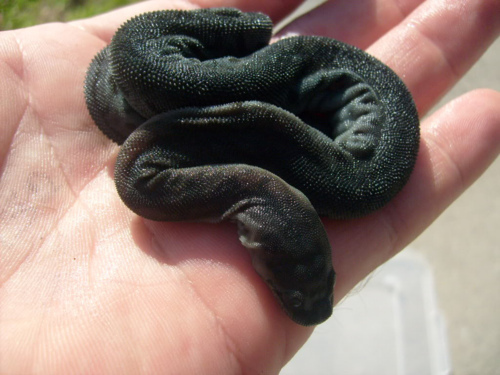 For example, their shells are very lightly calcified, and in some cases reduced in size. Species often have flaps of mantle which partly or wholly cover the shell – as is the case with this species. 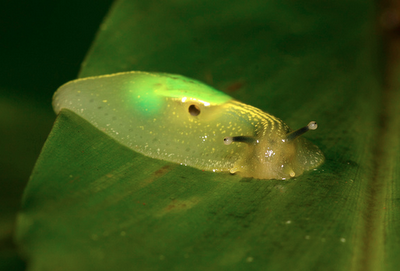 Now, while this semi-slug does appear to glow, I’m not actually sure if it does. I think it just appears that way because the snail’s skin is translucent and the shell is green…though I’m not positive and I couldn’t find any information on this particular species. PreviousYou’re Going to Flip For the Commerson’s Dolphin!